Garner Club House attendance on Wednesdays and Thursdays during the Thoroughbred race season. Create excitement for the Fair Ground's 140th year of racing. Daytime, weekday attendance declined year-after-year. The customer marketing database was antiquated. 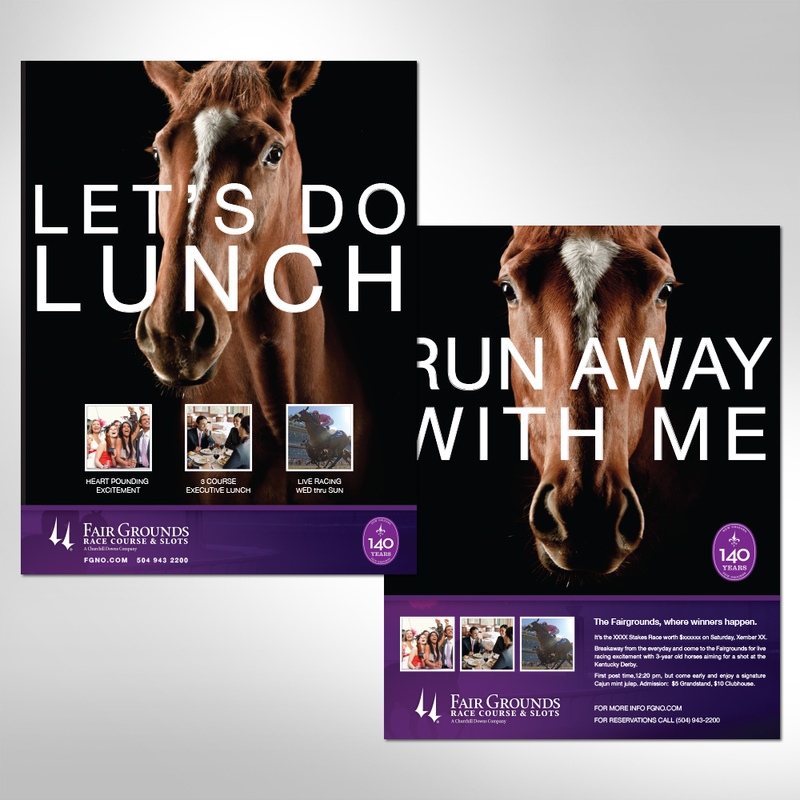 Create a unique lunch experience and signature contest that would spur word-of-mouth, amplifying awareness of and excitement for Fair Grounds racing. Promoted the new Executive Lunch available at the Clubhouse on Wednesday and Thursdays to the local business community using radio, print, social and email. Developed a coin commemorating the 140th year of racing. 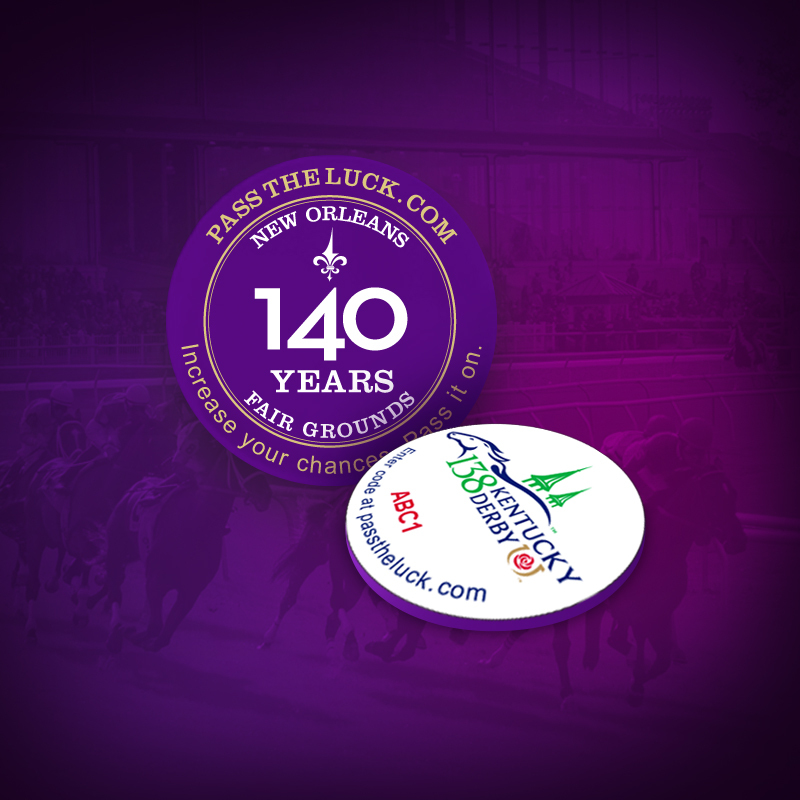 The coin was only given to those who came to the Fair Grounds for the Executive Lunch. Encouraged those who received a coin to register the unique code on the coin at a microsite created for the campaign effort. 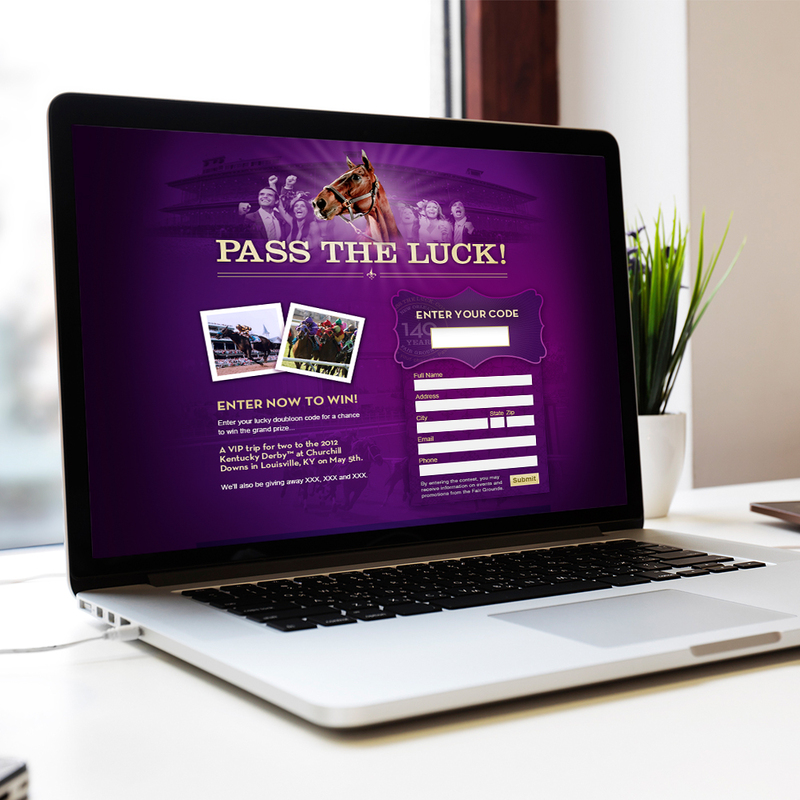 Upon registering, the user was entered into a giveaway that included an array of prizes, which included a trip to the Kentucky Derby. Garnered customer information such as: name, email and address with each entry to enhance the customer marketing database. Incentivized coin-holders to pass their unique code to friends/family so they could enter as well. Whenever a new person submitted a code, they were entered into the drawing, and everyone who had previously entered the same code received another entry. The more a code was submitted, the greater the chance of winning for those who had previously entered — hence the name Pass the Luck. The customer marketing database also expanded with each new entry. Lunch attendance doubled over the six week campaign and the customer marketing database was increased by 15%.